He was a stray, but his temperament is great. 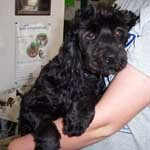 He was great for the groomer and is good with other dogs. His foster mom writes, "Mojo is a small male...very cool cockapoo. He's got alot of energy though and isn't so much the "lap dog" at this time. Although I'm sure he'll mellow as he gets older (he's very puppylike still). And he will be a great companion, very much a people dog." This adorable little guy is Benny. He was turned into us by his owners. 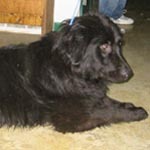 This is Timone, a big fluffy dog who is the son of Jinxie. 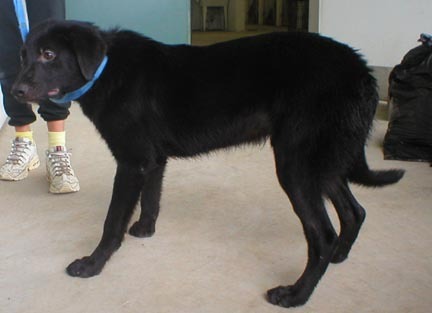 He seems like a black collie and retriever mix. He loves other dogs. Would be gentle with kids/cats. 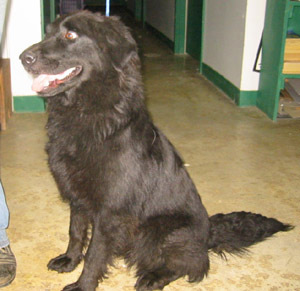 His picture isn't very good, but he looks like a black golden retriever. Maisey is a border collie mix. She is around 6 months and weighs 25-30lbs. She is quite the clown and full of fun and silliness. She would make a great agility dog. She is agile and very smart. 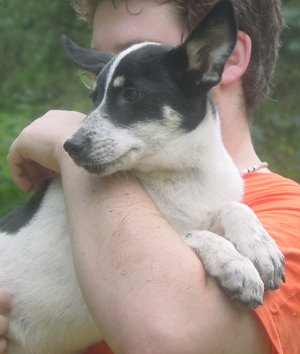 Joplin, female pup. She's about 3 months and as cute and playful as can be. Her picture doesn't do her justice as she is so cute. 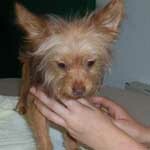 This is Red, a yorkie, chihuahua puppy, male 8 mos. 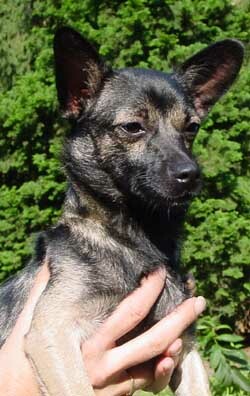 He is tiny, tiny, so must go with a home that does not have big dogs as he could get hurt during play. He is a friendly little pup. Red hates other dogs so he must be an only dog. This is Lucky. 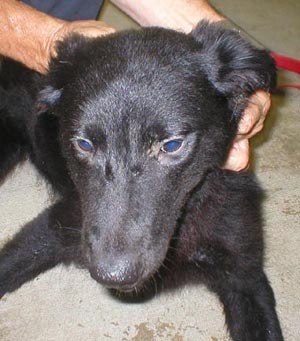 He came to a shelter in KY as a stray, and looked a bit battered and tattered. His life had hit an unlucky streak, which found him homeless and hungry. He's hoping things will turn around, and life will start looking brighter. 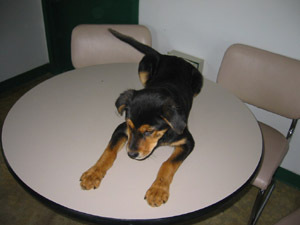 Lucky is a well-behaved dog who is friendly with everyone. He enjoys attention and people. 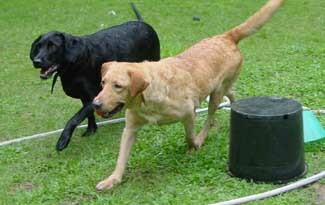 He gets along with the other dogs and enjoys playing. He will make a super companion. Barney Bassett, at 9 weeks old. He is 3 months old now and just the most lovable little guy, carefree with other dogs, but affectionate and just a love bug with people. He will make someone very happy. Our volunteers have just fallen in love with him. He is quiet in his crate and will not get to be very big, maybe 30 tops. He is even cuter than his picture. 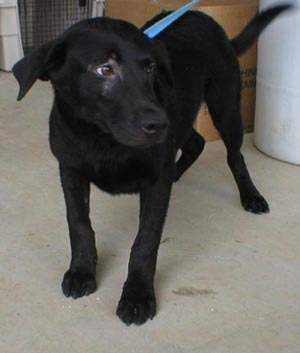 Reebock is an 10 month old Lab mix from OH. He is as playful as can be and loves attention. 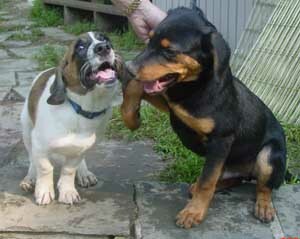 He also loves to play with other dogs and is not overbearing. He is also happy just running around the back yard. He is already neutered and is crate trained and house broken. He has been clicker trained and is well behaved. Older kids would be best or adults. He is a beautiful dog. Adopted! 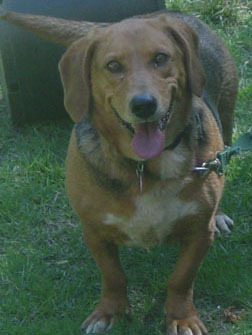 Hi, My name is Chica and I am a very happy, well-adjusted Basset mix. I'm completely housebroken and I'm not a chewer at all. I love to hang around the house or go for walks. I also love to just be outside enjoying the fresh air. I'm easy to walk on a leash too and very cuddly. What's not to love? 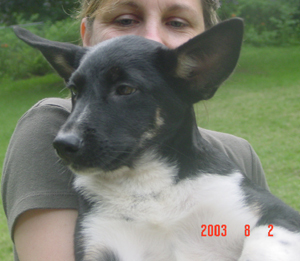 I was spayed a long time ago and the vet says I will make someone a very loving dog. Please apply for me! 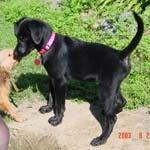 Jake is an 8 month old Labby boy from NC, arriving on Sat. He is not as big as he looks. 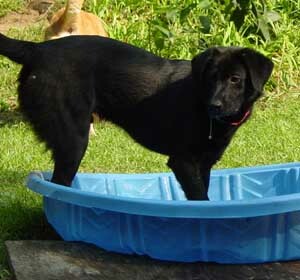 He's a nice dog, great with other dogs, playful, loves the pool, just a great pet. Gracie is a grayhound mix. she is around 1yr and weighs around 40-45lbs.She is here now an dVERY loving. She is so beautiful, her picture does not do her justice. 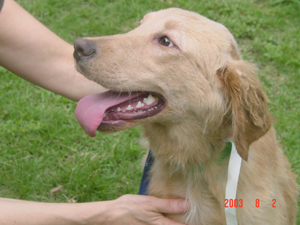 Her coat is gorgeously honey colored and she is just a love to be with. 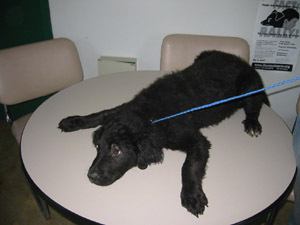 this is max a retriever mix, he is around 5-6mo, weighes around 35-40lbs. Max is affectionate and playful. He has so much fun playing with the other dogs. Maggie is adopted. She is part of a duo. They are fun loving and playful as can be. Maisey is the clown and Maggie is her side kick. they are so much fun. 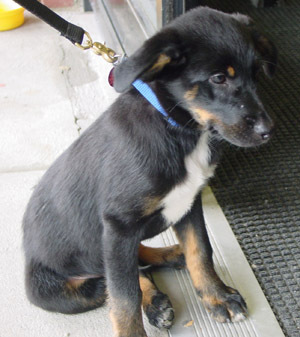 REally nice pups.Maggie has an adoption in progress. 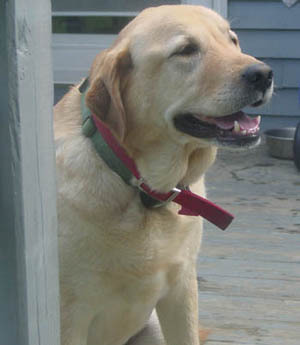 Lucky is a 4 year old purebred yellow Lab girl who is being relinquished due to allergies in the family. She is still with her owner until we find her a good home. 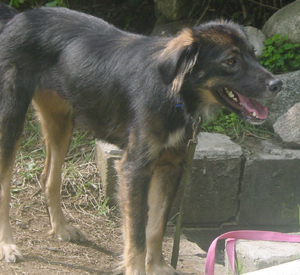 Lucky is trained on the invisible fence and knows basic obedience commands. She was raised with older kids. 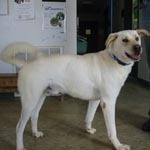 We have received more than enough applications for Lucky. We are not accepting any more applications at this time. 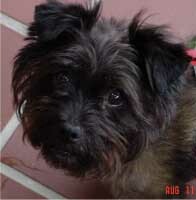 Tessa is a 4-5 year old spayed female Cairn mix. 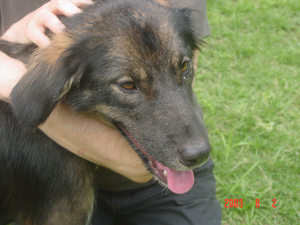 Tessa was found as a stray. When she was evaluated it was confirmed she was abused and has fear induced nipping. Because of this we will not adopt out to people who have small children or small children that visit. 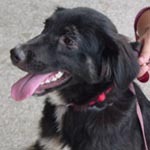 Tessa needs someone who understands that it takes time for an abused animal to trust and is willing to put both the time and effort into winning her trust. 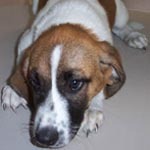 She is a sweet little girl who is very smart, housetrained and gets along with cats Adoption in progress. 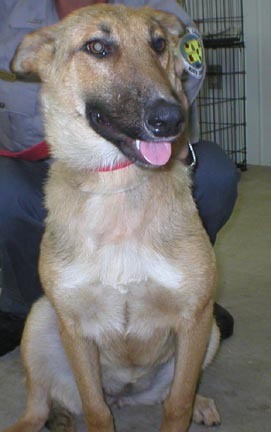 Nikki is a six month old female Shepherd mix. 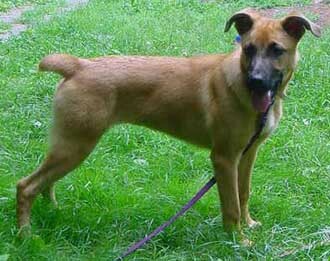 They said she is mixed with boxer, but the only indication of that is a docked tail, which never stops wagging. 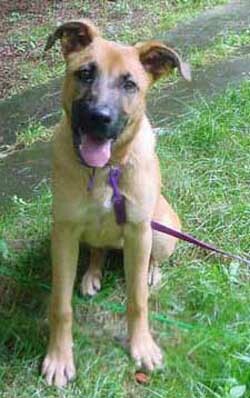 She is eager and playful, just a love with people and a little bossy with dogs her own size but submissive with bigger dogs. 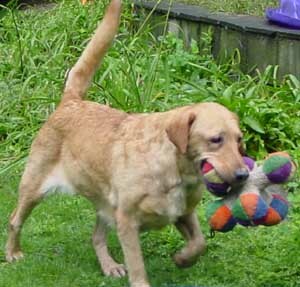 She would be a great friend for a dog who wants a playmate or for a young person with the energy to train her. She is spayed and ready for a home. 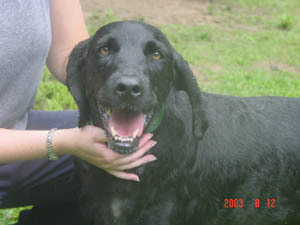 Indie is a 3 year old curly coated retriever who came from KY. He is a bit overweight, but seems otherwise a nice dog. He should be fine with a working household. 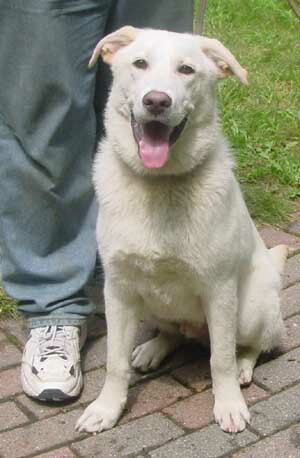 His previous owner had taken him through obedience training. Gets along with dogs and cats. Housebroken. He knows a lot of obedience commands and wants to please. When you say Sit he also goes right into a Down as he knows that's next. Nice, nice dog who was obviously with an owner in the past. Twiggy, 8 month old female Chihuahua mix, very submissive. Stray. Very sweet with kids and grownups. This is a 10 lb. dog who is very affectionate. Will you give her a home? 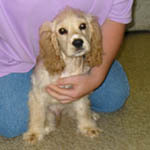 Champ, Spaniel male, 7 months old He is very playful and friendly. 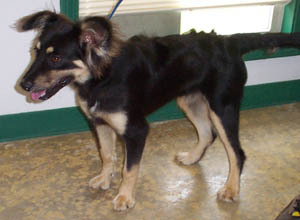 Seems to be an aussie or collie mix. 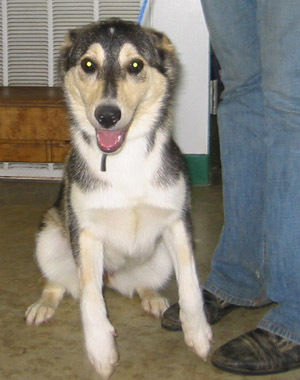 Breeze is a sweet young female Husky mix from KY. She will need a husky-loving home as she could have husky qualities. Led Zepplin, the pup. 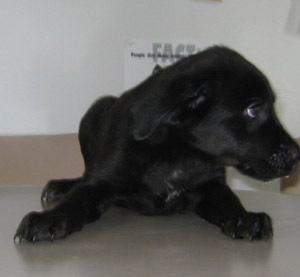 Male, Lab mix. 3 mos, smallish and just as cute as can be. He won't last. We are making appointments for people who have approved applications already in so he may not be at the meet and greet event.Led Zepplin is adopted, but Leo is available. Leo, the pup. 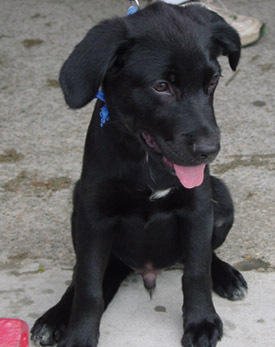 Male, Lab mix. 3 mos, smallish and just as cute as can be. He won't last. We are making appointments for people who have approved applications already in so he may not be at the meet and greet event.